Much research and work has been put into looking at the validity of the 100mph claim, that we will quickly skim over here! 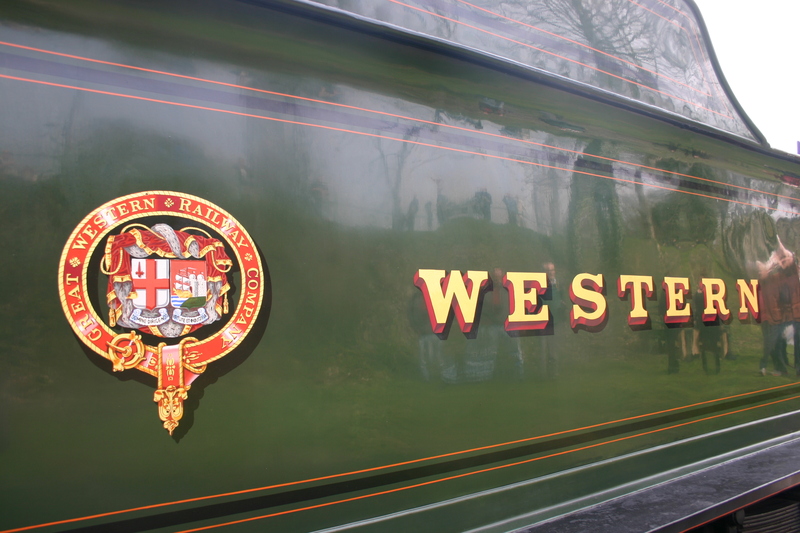 For starters – it is only an unofficial claim and the real 100mph breaker is LNER 4472 Flying Scotsman. 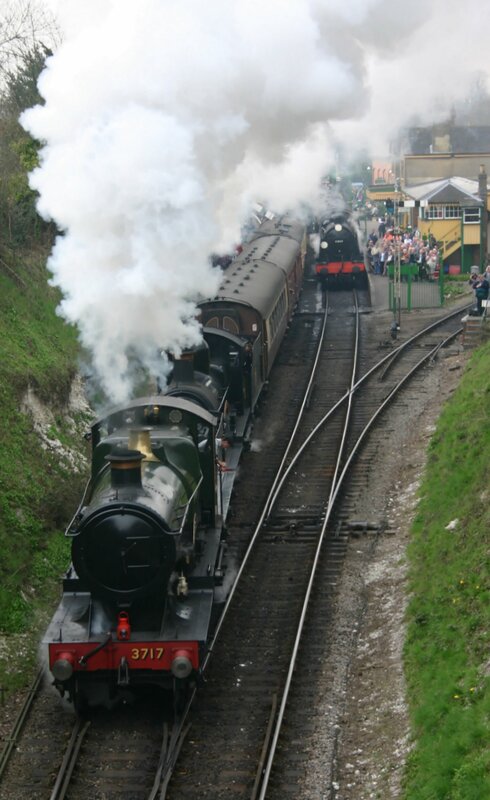 It comes from a run on 9th May 1904 timed by Charles Rous-Marten, when he claimed the locomotive pulling a 148 ton train down a descent towards Wellington touched 102.3mph. The timings themselves have many doubts attached to them and are largely criticised for being inaccurate and indeed contradictory. However, the biggest doubts have been raised by simple calculations of the locomotive’s power. In short, this is down to it not being super-heated and having an indicated horsepower rating of almost 1000. Pulling a 148 ton train at 90mph would be very unlikely for 3717, let alone 100mph, simply because it is not powerful enough. 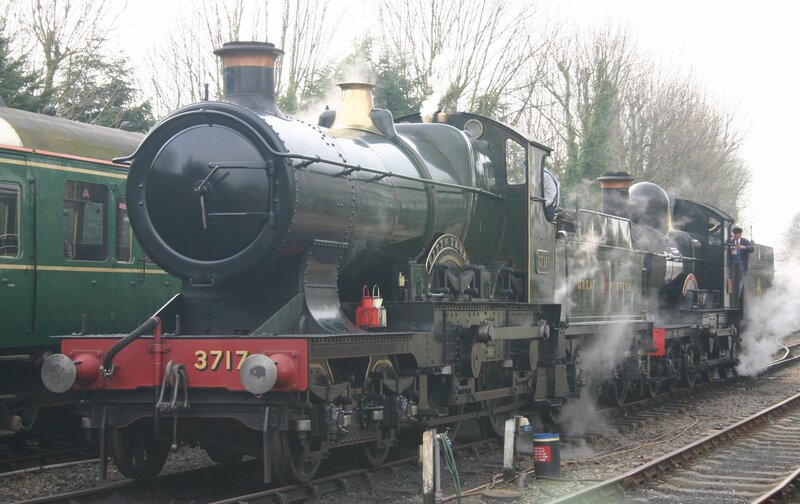 Despite the 100mph claim being very dubious, it resulted in 3717 being preserved in 1931. 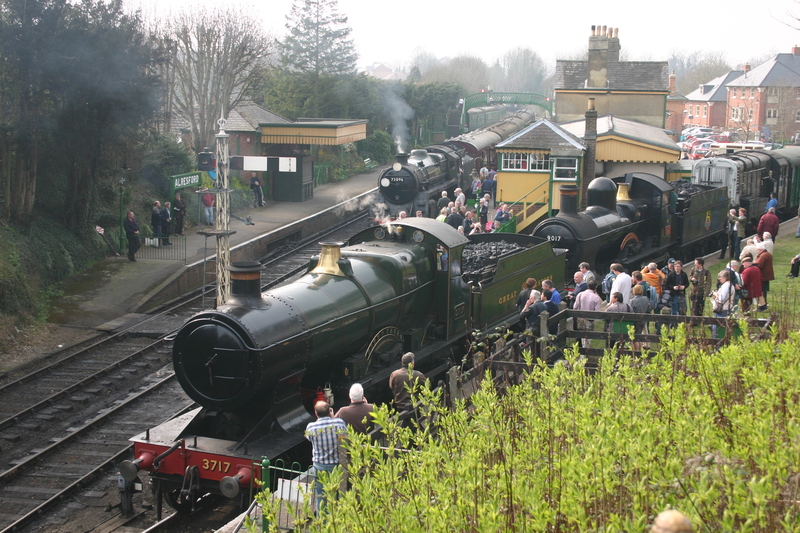 Since then, it has toured and been used on excursions and preserved lines around the UK. 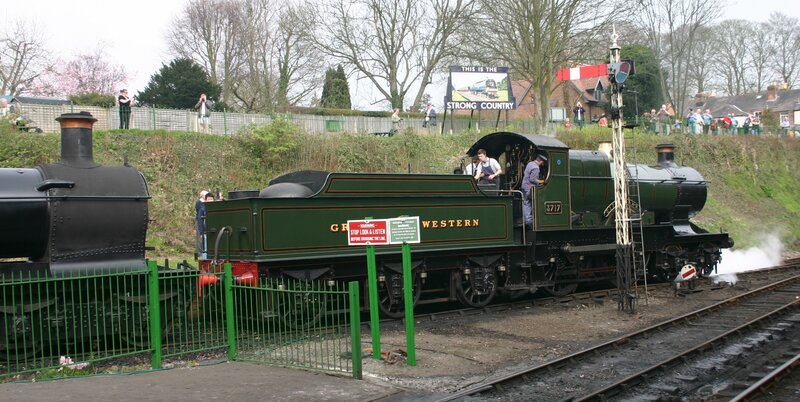 Even in the late 1950’s; 3717 was an unusual sight in GWR livery that attracted much attention from the public. 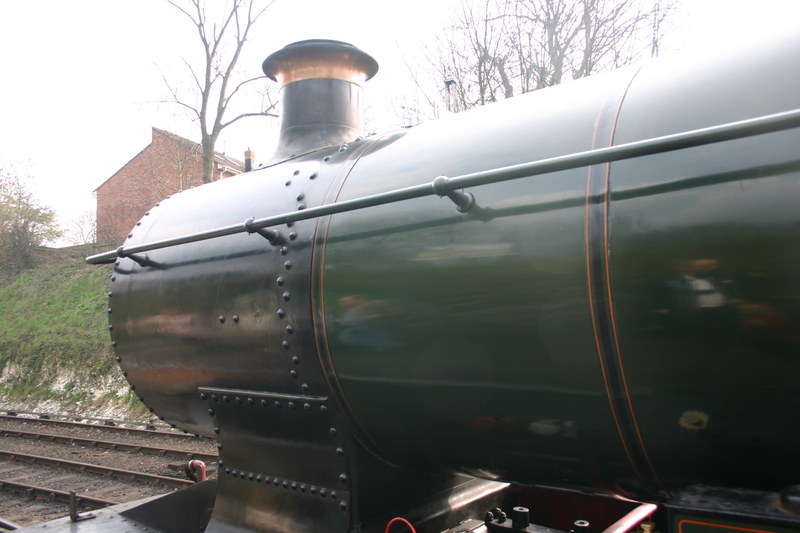 The claim resulted in the preservation of this locomotive; something we have to be thankful for!